To View this weeks HOH Winner, the Nominations & the POV Winner, Click "Read More". 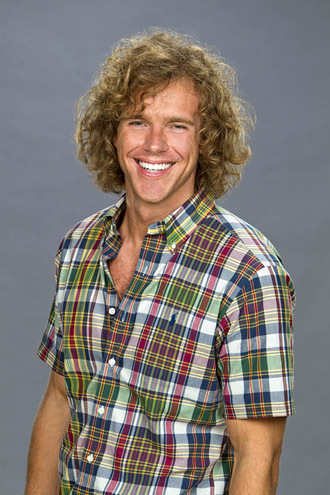 Frank won HOH after Thursdays Double Eviction Show. The Houseguests playered a pictinary type game with "Draw Something" submissions from fans. Also houseguests won punishments and rewards (well POV was the only reward). Also Frank got Disqualified for something. Frank Won -- A avocado bath, Chum Bath (for 24 hrs. ), and a Carrot Costume (for 1 week), and cannot compete in the next 2 HOH Comps. Dan Won -- Solitary Confinement in the Have Not room, with Loud Dance music playing (He also had to eat something gross). Brittney & Danielle -- Shackled together for 24 hrs. (People got to throw paint on Danielle for 2 minutes). Jenn -- On slop for the rest of the season, Burned her clothes, and won POV. Yes....You read that right....Jenn won the POV.